The future king of England, Prince George of Cambridge, has made just his fourth appearance in official photos as his parents release a snap of him ahead of the family's tour of Australia and New Zealand. 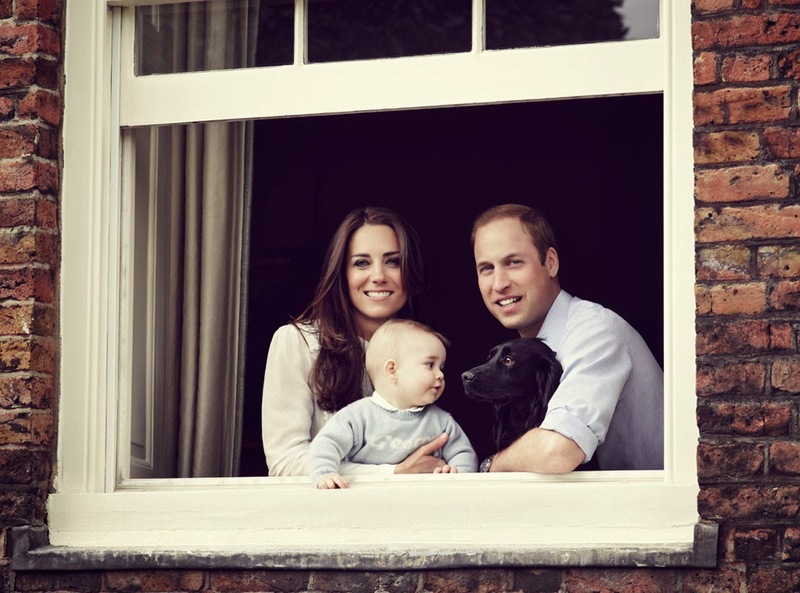 Now aged eight months, the little prince poses in a window and one again is joined by the Cambridges' pet dog, Lupo, in the photo - as he was in his first official snap released in August 2013. The next official photos of George came in October 2013 when the little prince was pictured with his father, grandfather and great grandmother in an historic image of four generations of royalty together. The monarch took centre stage in this portrait with her three kings in waiting around her. 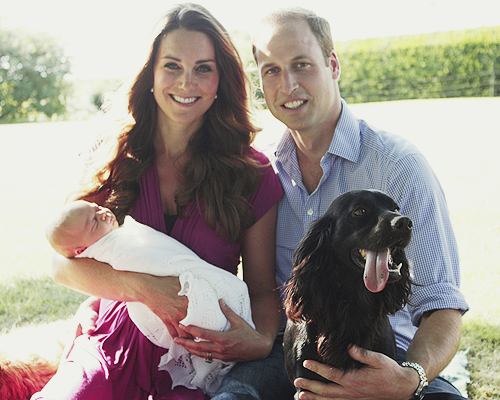 He was the dog that stole the show in one of the most eagerly awaited royal photos of the decade. Lupo, pet of the Duke and Duchess of Cambridge, took a starring role in the first official pictures of Prince George released in the summer of 2013. But in the official snap of the family ahead of their tour of Australia and New Zealand, there is no way George is letting his family pet pull the same trick twice. Cheeky, confident and full of charm, George outstares Lupo and makes sure all eyes are on him as he makes just his fourth appearance before the cameras since his birth. The comparisons between their styles are growing by the day but in one area, Princess Letizia has a head start on the Duchess of Cambridge. The Princess of Asturias has a new hair style. In fact, Letizia has been changing her hair quite a lot in recent times while Kate is sticking to what she knows best meaning her long, dark locks rarely move from their perfectly coiffed positions on her shoulders. But on the day a Spanish fashion writer claimed that Letizia was copying Kate's clothes, the Princess of Asturias surprised many by putting her hair up to look like she'd cut it all off. Europe could have a new queen of hearts. Royal commentators in England have been chattering about the Maxima effect as the consort of the Netherlands seemed to win over the world leaders who visited her and her husband at Huis den Bosch Palace this week ahead of the Nuclear Security Summit. There seems to be general agreement that the Dutch queen impressed everyone she met at this major event for the new monarchs with some arguing she outshone her husband. Ever since her marriage in 2002, Maxima has been one of the most popular royal consorts on the continent and she has always seemed happy in her royal role. Commentators noticed how relaxed the queen was hosting dozens of world leaders and representatives at what was a difficult dinner to make a success. 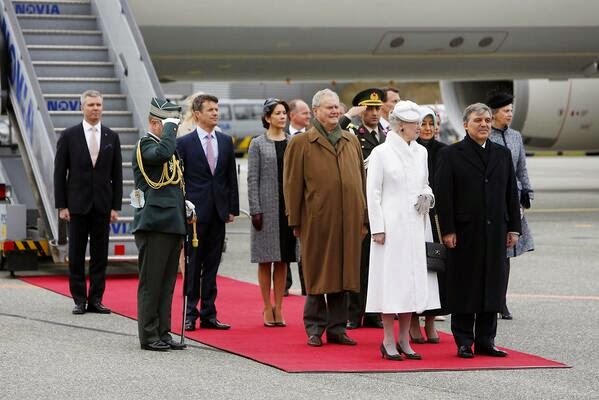 Queen Margrethe II of Denmark welcomed the President of Turkey and his wife for a two day state visit, beginning on March 17th 2014. The Danish Queen led the royal family as they met the president at Copenhagen airport at the start of his visit. On the afternoon of March 17th, Crown Prince Frederik and President Abdullah Gu attended a business lunch and a Turkish-Danish Trade and Investment Forum at the Confederation of Danish Industries in Copenhagen. On the evening of March 17th, Queen Margrethe and Prince Henrik hosted a gala dinner for President Gul and his wife at the Amalienborg Palace with the royal family in attendance.